In partnership with the Association of Small Scale Enterprises in Tourism, YEP supported a study tour for 17 young entrepreneurs to visit the well-established Dakar Farmers Market in Senegal. Participants engaged with practical exercises on developing entrepreneurial skills and improving the quality of their products. 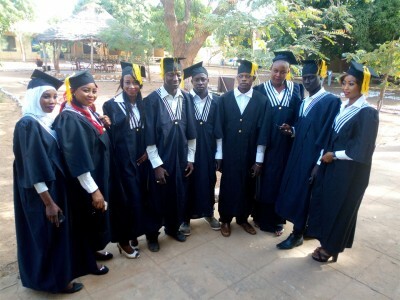 The first class of the Youth Mentorship Programme graduated on 10 February. 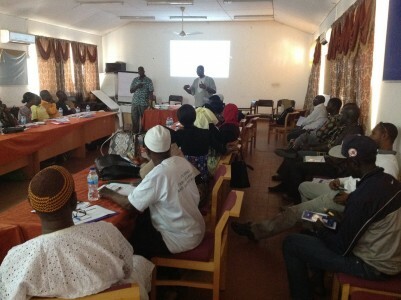 The programme was organized by the Global Youth Innovation Network in the Gambia with YEP support. The 25 young mentees went through an intensive three months mentoring on enterprise management. 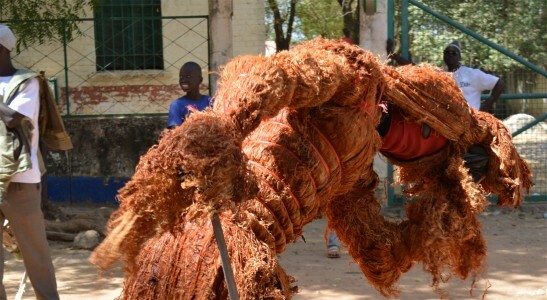 On 16th January, the people of Janjanbureh staged the Janjanbureh Kankurang Festival after a break of decades (the last festival that attracted local and few international visitors was held in the 80s). The 2018 Kankurang festival was attended by both local and international tourists from over 10 identified countries (Senegal, Mali, Mauritania, UK, Belgium, Bulgaria, Finland, Norway, Austria, Switzerland and USA). The Youth Empowerment Project (YEP) supported the festival organising committee in collaboration with the National Centre for Arts and Culture, the Gambia Tourism Board and the Association of Small Scale Enterprises in Tourism. 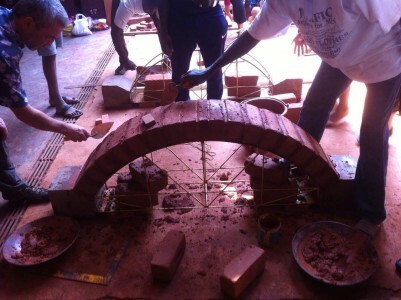 On the 2nd of December 2017, 14 young Gambian, mostly comprised of Architects, Engineers, Contractors and Masonry workers, travelled to The Auroville Earth Institute in India and attended a two weeks training program on Compressed Stabilised Earth Blocks (CSEB) technology. Dawda Fadera, the Secretary-General and Head of Civil Service, launched the National Youth Development Fund on behalf of Adama Barrow, President of the Republic of the Gambia during the official opening ceremony of 12th National Youth Conference and Festival (NAYCONF 2017) currently underway in Basse, Upper River Region. YEP featured in the most recent The Gambia - EU newsletter as one of the projects visited by the EU Director and Deputy Managing Director for Africa. 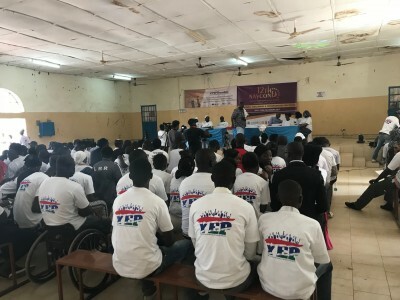 The National Association of Cooperative Credit Unions of The Gambia (NACCUG) with support from the Gambia Youth Empowerment Project (YEP) have successfully organised a Credit Unions Managers' Conference. It was held from 8 to 9 December 2017 at the Regional Education Directorate 1 in Kanifing. The conference is part of the activities implemented under the framework of YEP and seeks to bring together Credit Union Managers to brainstorm on innovation products and services attractive to young people to enhance youth participation in credit unions. The initiative was also meant to foster a cross breeding of ideas and further strengthen the ties of cooperation among Credit Union Managers for enhanced viability of the credit union movements in The Gambia. 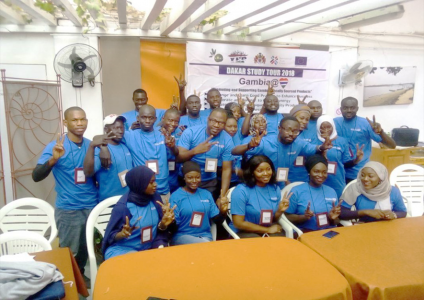 YEP supported the organisation of NAYCONF, and the entire project management team, including a representative from Delegation of the European Union to The Gambia, travelled all the way from the Kombos to join forces with the National Organising Committee in Basse. 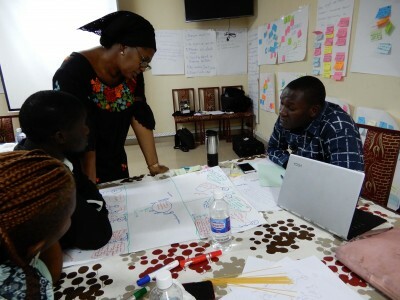 From 4 to 8 December 2017, 15 youth trainers were trained in Design Thinking. 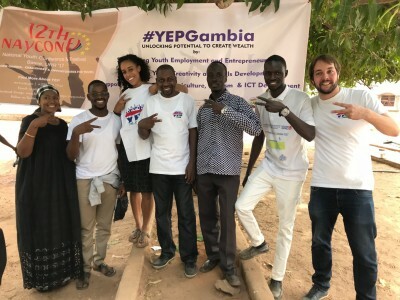 The Youth Empowerment Project (YEP), in collaboration with the Start-up Incubator Gambia, provided this training as a first step toward promoting innovation in The Gambia’s business sector, giving young people the tools to create innovative solutions to customer needs.